James Thomas Fallon was born on this day in Brooklyn, New York, USA in 1974. He is 39 years old. 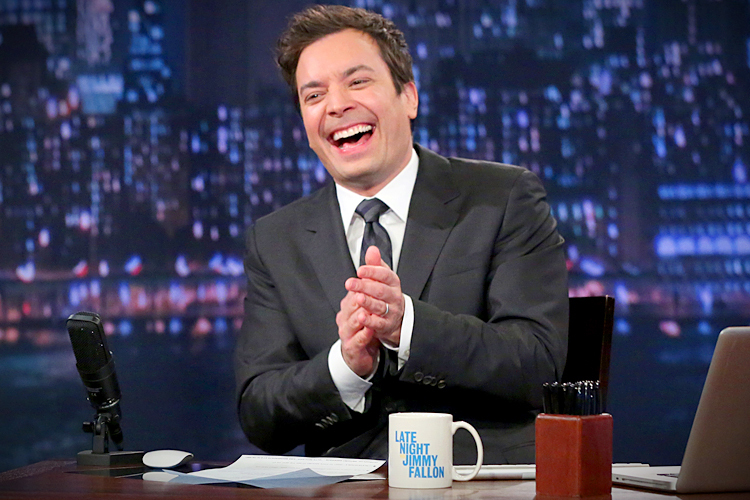 Fallon did stand up and some minor television work before landing a spot on Saturday Night Live on NBC in 1998. He left the show in 2004 to focus on films. In 2009 he returned to the small screen with his own talk show, Late Night with Jimmy Fallon. It was recently announced that Fallon will replace Jay Leno for the coveted Tonight Show spot when Leno retires in 2014. He has written songs (Your Idiot Boyfriend and Car Wash For Peace) and books (I Hate This Place: The Pessimist’s Guide to Life). This entry was posted on Thursday, September 19th, 2013 at 8:34 pm	and tagged with Jimmy Fallon, Late Night with Jimmy Fallon and posted in Comedy, Jimmy Fallon, postaday, Thought of the Day, Today's Birthday. You can follow any responses to this entry through the RSS 2.0 feed.